Artist Joao Figueiredo combines modernism with tradition to create this striking Grace Cushion. The gorgeous black cushion features a traditional image of Grace that is playfully fragmented. This modernist twist on the traditional image gives a surrealist impression - a stunning combination creating a bold and beautiful cushion. 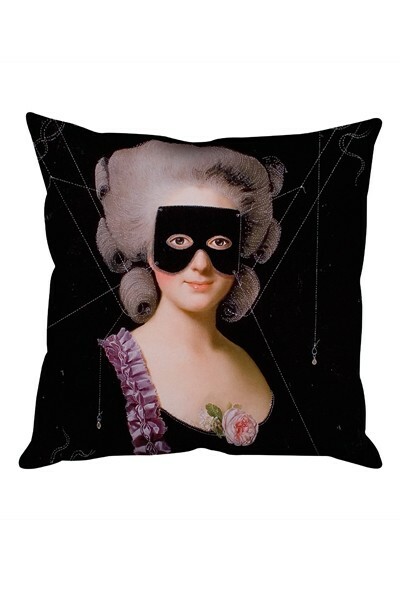 The cushion is digitally printed in England and comes in a beautiful black satin and cotton with feather filled pads. Grace Cushion measures 45cm x 45cm.